Anna is a Managing Partner and co-owner of KBRS and leads the firm's national academic executive search practice and our Atlantic Canadian executive search practice. 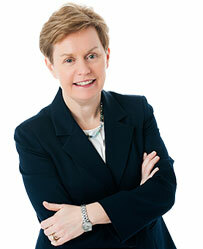 With more than 20 years of experience leading executive searches, coaching and advising leaders in the university, college, independent school, health and public sectors across Canada, Anna has established a strong reputation for helping organizations and individuals to realize their goals. A professional accountant and consultant, Anna brings a unique combination of analytical and strategic skill to her clients. Her commitment to understanding organizations and individuals has led her to be a trusted advisor on strategy, governance, leadership development, operational effectiveness and organization design. Her passion for supporting candidates and clients as they navigate critical leadership decisions has allowed her to develop enduring relationships and extensive networks. Whether working with a board or search committee, meeting with a candidate or coaching a leader, Anna’s sincerity, thoughtful approach, and pragmatic sensibility have proven to be transformational. A consummate connector, life-long learner and skilful facilitator, Anna has contributed insightful articles, seminars and workshops for clients in the academic, public and corporate sectors as well as professional groups and industry associations. Prior to joining KBRS, Anna was a consulting partner and principal with two large public accounting firms, and held senior leadership roles within the Nova Scotia public sector. Anna is a Fellow of the Chartered Professional Accountants of Canada, a Fellow Certified Management Consultant, and has a Master's of Business Administration Degree in Health Administration. She is certified to administer and interpret the Hogan Assessment, Assess and the Management Research Group LEA Self-Assessment and LEA 360 Assessment. Anna’s passion for people, public and community service is demonstrated through her active involvement with community and professional groups. Anna is currently the Chair of the International Women's Forum (Atlantic Chapter) and has served as Chair of Brigadoon Children’s Camp, the Sacred Heart School of Halifax and as Director on the Boards of the Nova Scotia Health Authority Board and the Nova Scotia Community College Board. Anna and her husband are proud parents of two inspiring daughters. In her spare time, Anna is a slow but steady runner, a tenacious new golfer and a recreational skier.